ASU’s West campus is hosting the Southwest Electronic Music Events Festival, April 9-11. The event, presented by the Interdisciplinary Arts and Performance (IAP) program in ASU’s New College of Interdisciplinary Arts and Sciences, features live performances, screenings and discussions about the history and current trends in electronic and computer music. 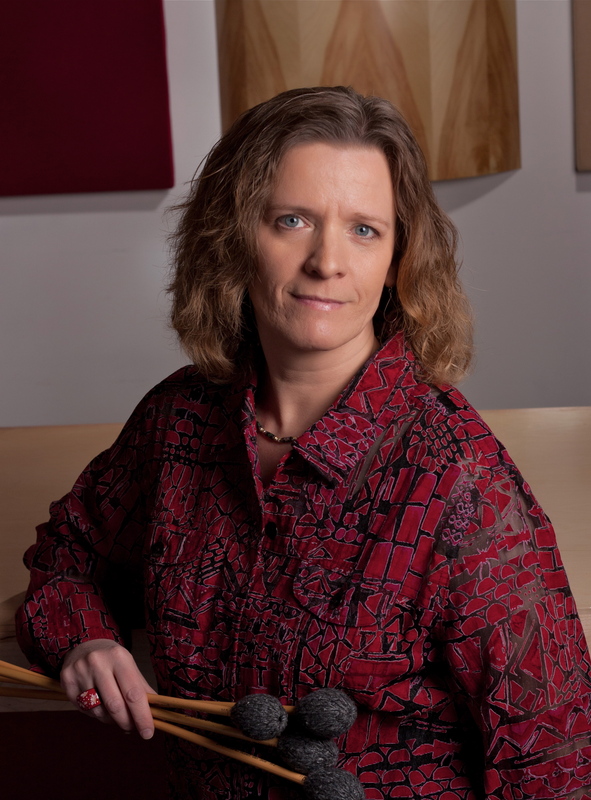 Percussionist Patti Cudd will perform April 9 at 7:30 p.m. Cudd is active as a percussion soloist, chamber musician and educator. She teaches percussion and new music studies at the University of Wisconsin-River Falls and the College of St. Benedict/St. Johns University. Cudd is also a member of the new music ensemble Zeitgeist. Other diverse performing opportunities have included Sirius, red fish blue fish, CRASH, the Minnesota Contemporary Ensemble, SONOR and such dance companies as the Minnesota Dance Theatre and the Borrowed Bones Dance Theater. As a percussion soloist and chamber musician she has premiered more than 150 new works. On April 10, screenings and discussion of films focusing on Electronic Music will be featured from 3:00 to 6:00 p.m. From 6 to 7 p.m., the Kiva will host performances of electronic music by IAP majors. Events conclude at 7:30 p.m., April 11, with a concert performance by Crossing 32nd Street. Named Phoenix’s “Best New Classical Music Ensemble” by the Arizona Republic, Crossing 32nd Street strives to increase the awareness and understanding of modern music through an aggressive commitment to performing relevant contemporary works at the highest level. Performances routinely include the music of the modern masters such as John Cage, Steve Reich, Louis Andriessen, Iannis Xenakis, Lou Harrison, Terry Riley, John Luther Adams and James Tenney, as well as the exciting new works of emerging composers and collaborative engagements. Founded in 2000, the group serves as an ensemble-in-residence in the Maricopa Community College District. For more information about this and other arts events at ASU’s West campus, visit http://campus.asu.edu/west/events or call (602) 543-2787. President Bill Clinton announced ASU's Davier Rodriguez the winner of the Clinton Global Initiative University innovation challenge. 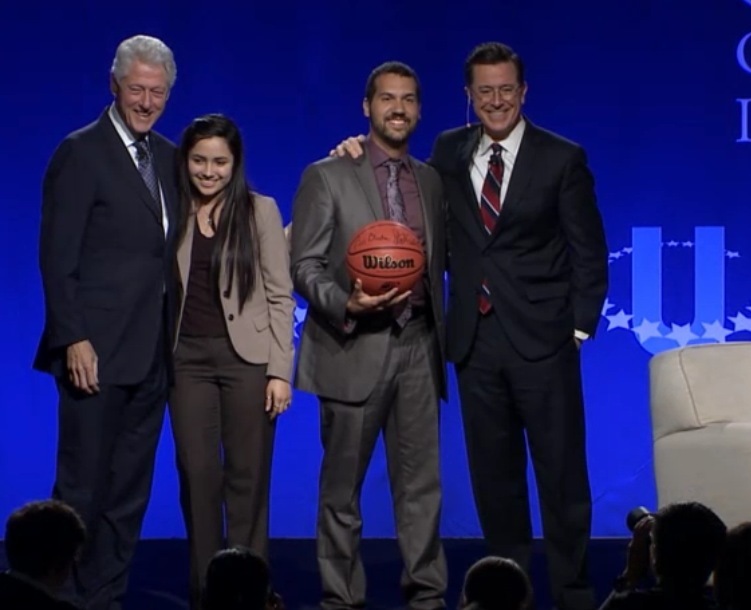 President Bill Clinton announced ASU graduate student Davier Rodriguez the winner of the Clinton Global Initiative University (CGI U) "Sweet 16" Commitments Challenge at Washington University in St. Louis, Saturday, April 6, at a closing event that featured a live interview and Q&A session between Clinton, CGI U's namesake, and Comedy Central's Stephen Colbert. DREAMzone aims to establish a national network of allies to support undocumented students. Rodriguez said he was excited to receive the award and see his team's hard work pay off. "I definitely am devoted to higher education and advancing higher education," he said. Arizona State University is one of 33 colleges and universities that joined the CGI U Network and has committed to support, mentor and provide seed funding to ASU student entrepreneurs. Finally, Rodriguez said he was glad to have met President Clinton: "It was exciting and an honor. President Clinton is someone I admire." CGI U was launched to bring together the next generation of leaders on college campuses around the world. Students who attend have the opportunity to meet with fellow student entrepreneurs and build a network of like-minded individuals. To attend the meeting, students must develop a Commitment to Action plan that addresses a specific challenge in one of the five focus areas: education, environment and climate change, peace and human rights, poverty alleviation, and public health.